Are we in Kansas? Tornados in January? Sirens! Basement shelters! 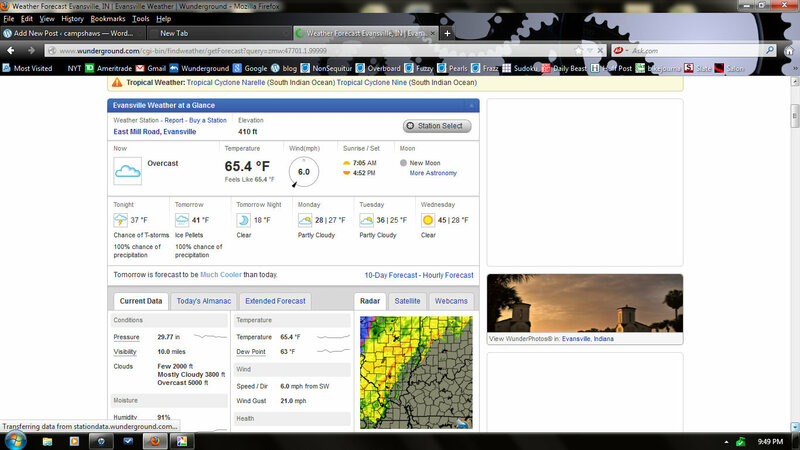 What gives with this crazy weather? It was warm enough for a bike ride in jeans/t-shirts – a first for us in January. Mid-afternoon, it was nearly 70 degrees outside! Before all hell broke loose, it was a fine day to be outside. 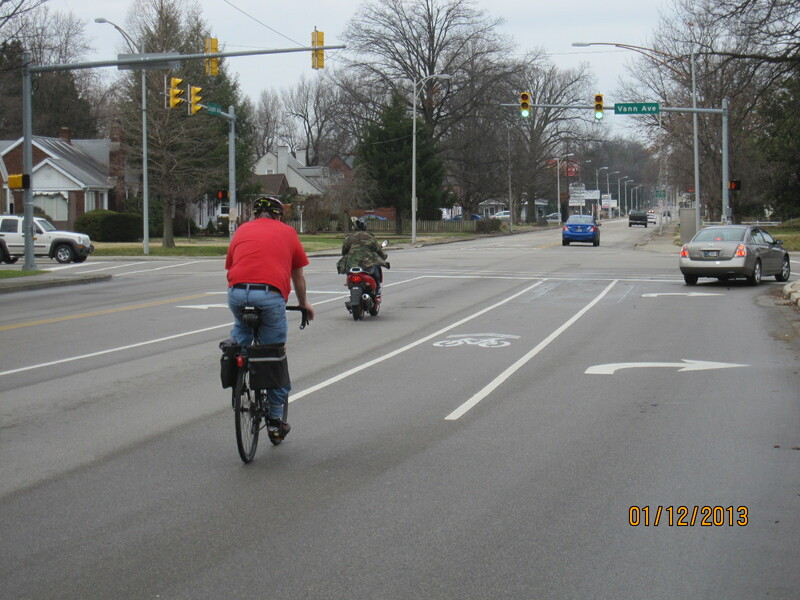 We did find Evansville’s shortest bicycle lane – must have been no longer than 75 feet in length. Went from nowhere to nowhere. Interesting. 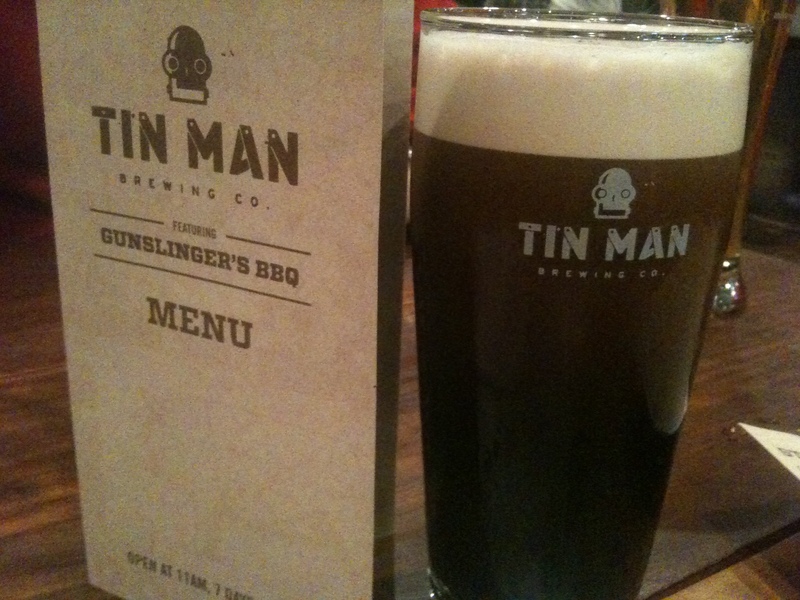 Had a beer at the newest brewpub in Evansville – Tin Man Brewing Company. We sampled three of the five available beers, and gave them all thumbs’ up – not hand-waving, foot-stomping thumbs’ up, but still..
Dry Irish Stout in a beautiful glass…. Looking for yet more ways to add calories, we headed to the Gerst House, a German restaurant, located in an old hardware store. Don & John have eaten here many times, and knew we would love the food. We did! I selected pig hocks/sauerkraut/German potato salad. John tried the sampler plate with goulash, smoked pork chop, and wiener schnitzel, along with red cabbage. Don & John each ate sausage plates of mettwurst and kielbasa. We waddled out of there with a boatload of food to enjoy later. Tomorrow’s weather promises changes. We’re diving to 18 degrees tomorrow night, which changes our plans to de-winterize the Fireball. We’re pretty sure Don & John will push us to the city limits if necessary to speed our departure. 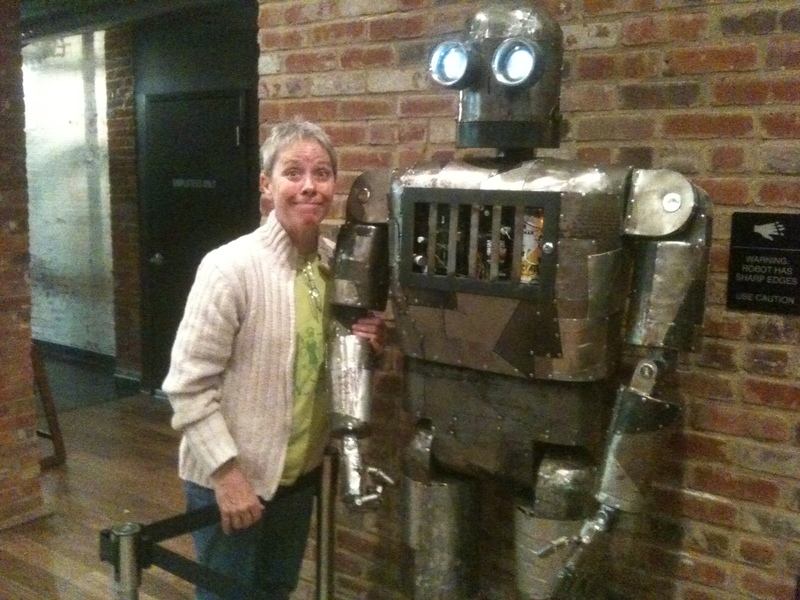 This entry was posted in cycling, Uncategorized and tagged beer, cycling by Judy Crankshaw. Bookmark the permalink.